If you missed that message, here is the link to the SURVEY. Please take a few seconds to fill out. Being busy and projecting all the time is truly big part of my life. This means very little time to organize. I have a few MUST FIX spaces in the house. 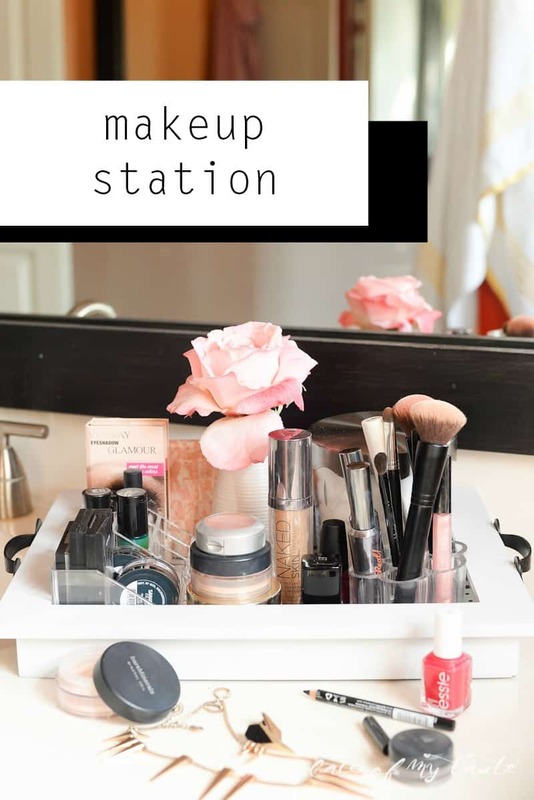 For the first I chose my makeup station (which wasn’t actually a makeup station). 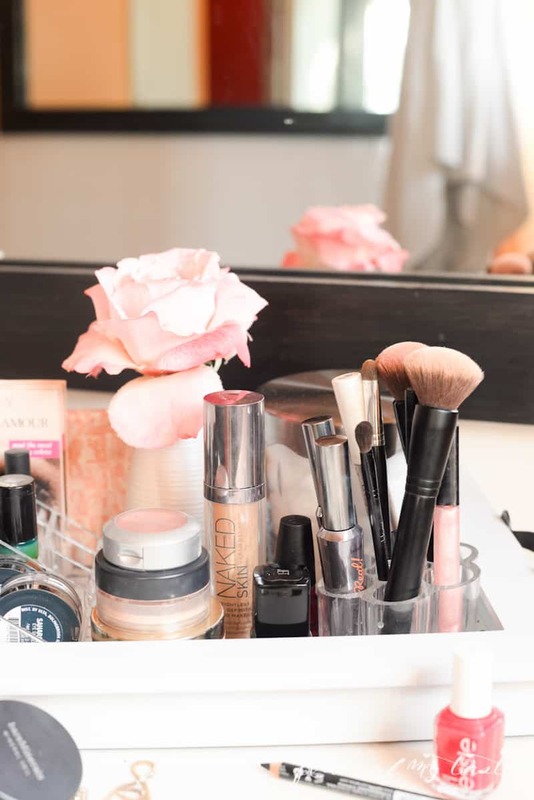 I always wished to have a makeup station in my closet with big mirror and lots of light…but, … I’ll never get to have one. I was putting makeup on from my little bags every day. 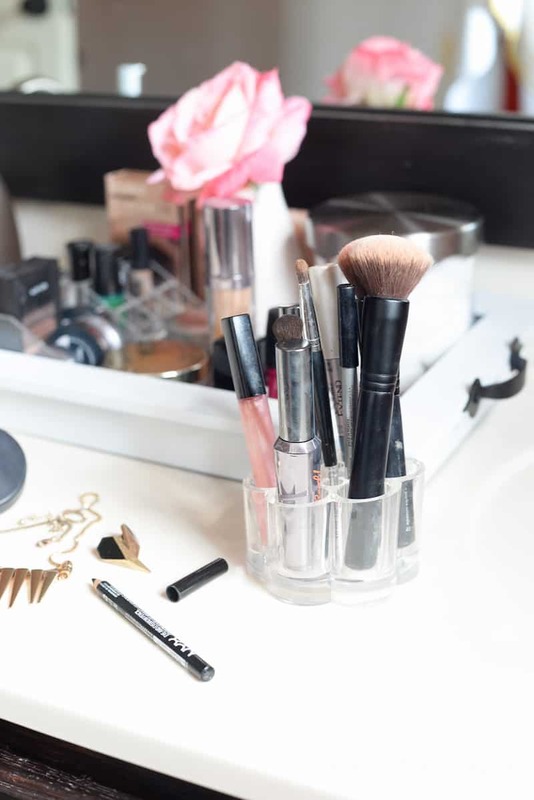 I had maybe 3 of those little makeup bags, sitting on the top of the vanity. Full of everything. I will be barve enough to share the BEFORE picture. But please, don’t judge! Promise? I told you beforehand that I am lacking in the organizing department. It was a mess. Big mess! A trip to a close by store saved me. 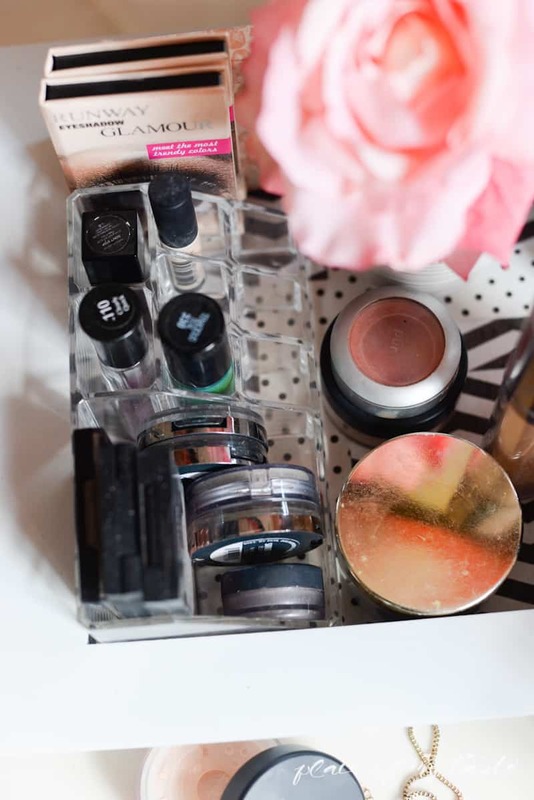 I got an organizing set (find similar here ) for all my makeup. 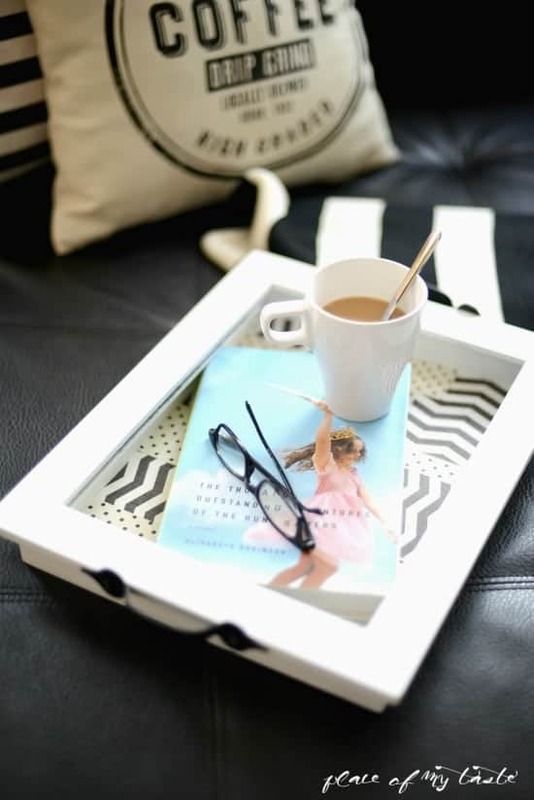 Remember that tray that I DIY – ed from a picture frame a few months ago? 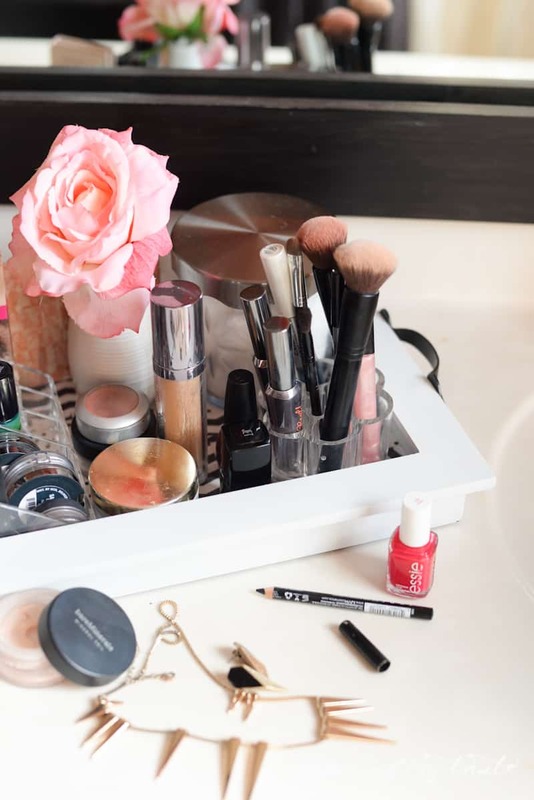 It was pretty clear, that it would be a perfect tray to hold all my makeup for I don’t have a lot of it. I have few, really just the ones I know are good quality and I love. I only put makeup on in the morning and I don’t use very heavy makeup, only occasionally. Now that I can see everything, it is a piece of cake. 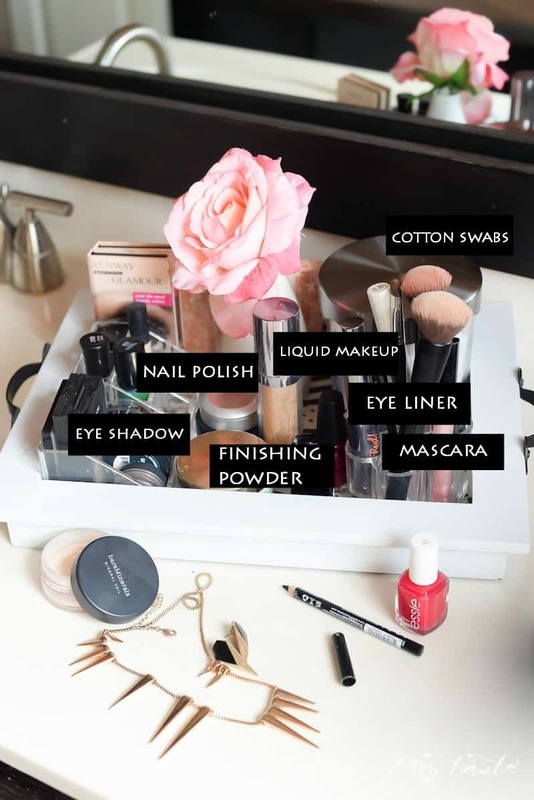 On my stylish tray I can see everything and find anything I need in seconds. Don’t have to dig through my little bags anymore. 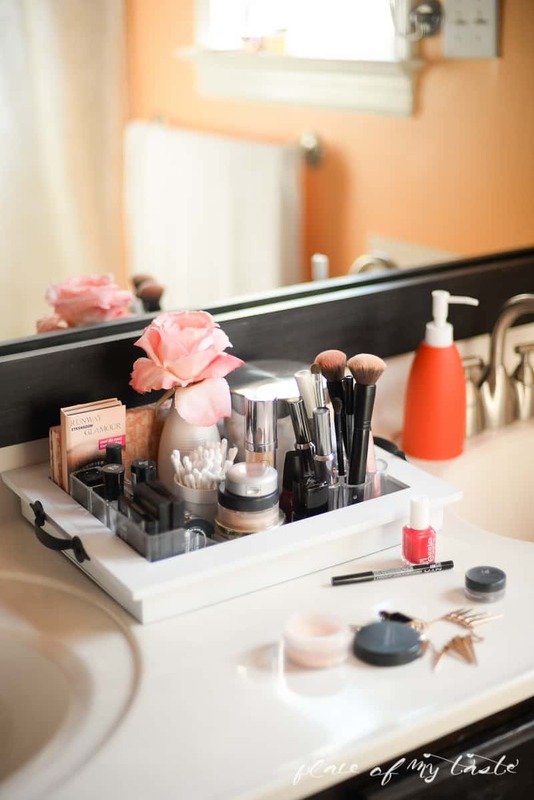 The plastic organizer is just perfect, I highly recommend it. Happy Organizing and Have a wonderful weekend! I think I’ll need a bigger tray for my collection! Great ideas here. Thanks! That’s an option too:-) I like to keep my selection small:-)Have a wonderful weekend! 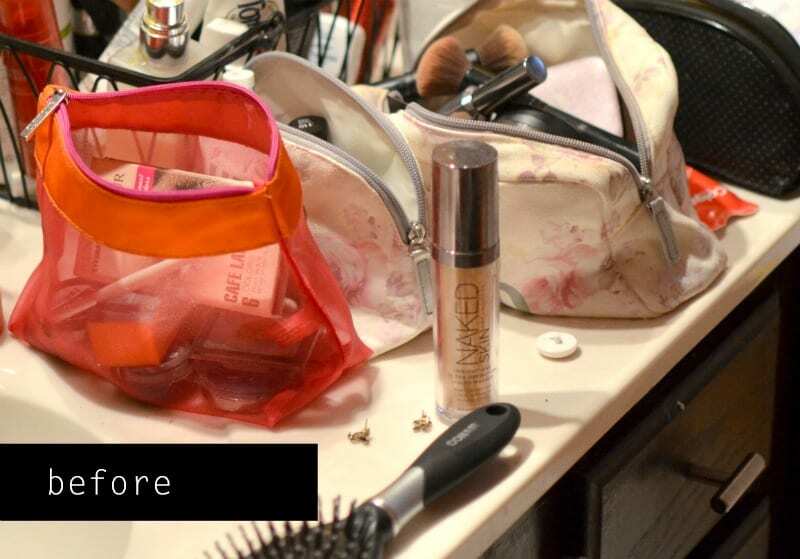 Girl, you don’t even want to see my many messy makeup bags! Thanks so much for the tips and tricks. 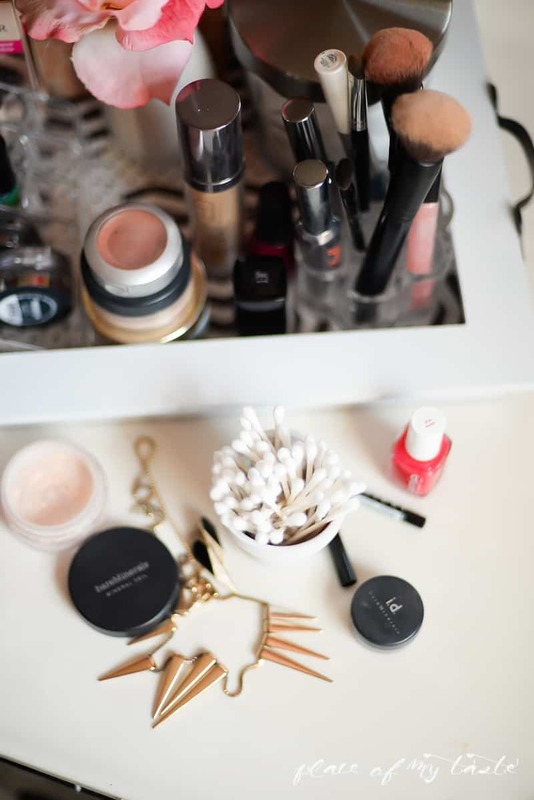 I love your beautiful makeup station!!! Yay! it’s so organized. I still can’t believe how messy my makeup bags right now compare to yours, Aniko. Thanks for the tips.